Spectrum is at it again. In recent commercials, they claim that satellite users need special hardware just to get on-demand programming. Problem is, it’s just not true. You don’t need special hardware. There has never been a time when you “needed” special hardware for on-demand programming. Every modern DIRECTV DVR comes with an ethernet port. If you have access to Ethernet, you’re done period. Of course most people don’t have something like that in every room so DIRECTV has provided an adapter that lets you distribute on-demand programming over coax cable. You can then use an adapter to connect that cable to the internet. Is that “special hardware?” I think not! DIRECTV’s latest system is the Genie 2. This tower was specifically designed to cut down on all the extra boxes that people complained about. With one coaxial cable and a power cord, this server can supply 7 rooms with wireless clients. 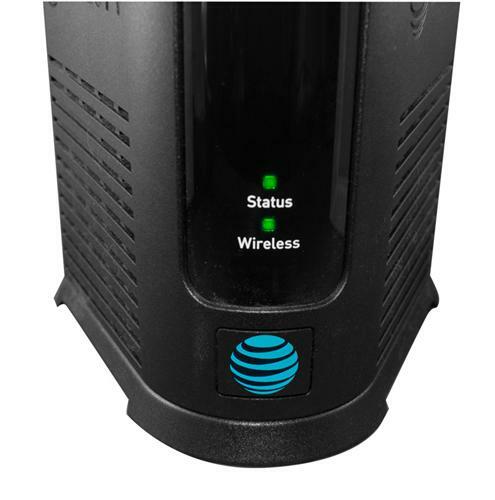 It can also connect to your home’s Wi-Fi so you can get on-demand without even connecting an Ethernet cable. Try that, Spectrum! Let’s talk apples to apples. DIRECTV and Spectrum both deliver on-demand programming the same way: through your home internet. Yes, if you have Spectrum cable TV then you probably also have their internet service. However that doesn’t mean they use some sort of magic to get you on demand without using your internet capacity. It means that they artificially limit the internet service you use and reserve some of it for video. And, if you want to talk about “special hardware” let’s talk about Spectrum’s routers for a moment. Spectrum requires you to use their cable modem. Some installs let you use a separate router so you don’t have to suffer with their hardware. Some don’t. Either way you do need “special hardware” just to get Spectrum internet or cable into your home. It’s wrong to say you don’t. DIRECTV’s on demand selections trounce what Spectrum is offering, plain and simple. Not only does DIRECTV have more “traditional” on-demand programming through the TV system, but DIRECTV also lets you authenticate to more providers than anyone else. This gives you the ability to watch tons of on demand programming using a streaming box or phone. Comparing DIRECTV’s app to Spectrum’s, it’s not even close. DIRECTV offers well over 100 channels of live TV and complete access to its on demand programming through a simple app. Spectrum doesn’t deliver anywhere near that much. It’s true that their app gives more control over your DVR’s upcoming recordings. However, it doesn’t let you download programs from your playlist and watch them without a data plan. Only DIRECTV does that. Those sneaky ads from Spectrum have targeted DIRECTV for years. They want to tell you that the dish is ugly, that the service is unreliable, and that it costs more. None of those things are true (although the dish… that’s your call.) If you’re looking for the real truth on the best value in television, you’ll want to call the folks at Solid Signal. They can set you straight on what you’ll need. The number is 877.312.4547. Safely upgrade your DIRECTV DVR’s hard drive! Can you watch DIRECTV programming on your PC?